You have 2337 characters. Don’t forget to add important and relevant keywords in your description to improve your iTunes app page and optimize your SEO. Jealous of some inspirational quotes and sayings your friends posted on Instagram Captions? In fact, you can also use those quotes and sayings for all of your posts on Instagram and other social network such as Whatsapp, Facebook .. Our mission is simple: creating best captions for IG fans. Quotes for all your feelings, with this app you will always find the right words and be shiny between friends. 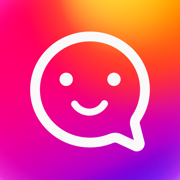 With the help of this application, have the thoughtful Instagram, Facebook & Whatsapp Profile between your friends. Save your favorite quotes & cites and touch the hearts and souls of your friends. Thousands of great sayings, quotes and motivational captions / profile status. 1 Choose the related captions. 2 Copy and directly jump to Instagram. 3 You can save your captions so they can be reused over and over. With these funny, interesting captions, your posts are more likely to gain more likes and attract more followers with same interests. So, do not leave captions blank again. Get the best Captions App today and be famous with our clever captions. Disclaimer: This app uses Instagram API and is not endorsed or certified by Instagram. Add Captions is free to download and use. We also offer an optional subscription package.